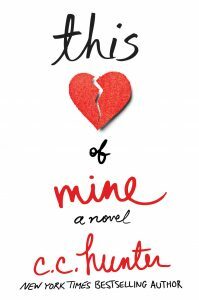 I’m thrilled to announce my first hard back book called This Heart of Mine will be released February 27, 2018. This book is very special to me. As I wrote each my Shadow Falls books, I thought the newest one was always my favorite. I loved each book more and more. But This Heart of Mine was different from the start. It’s not only the book of my heart, it’s the book from my heart. Seventeen-year-old Leah MacKenzie is heartless. An artificial heart in a backpack is keeping her alive. However, this route only offers her a few years. And with her rare blood type, a transplant isn’t likely. Living like you are dying isn’t all it’s cracked up to be. But when a heart becomes available, she’s given a second chance at life. Except Leah discovers who the donor was—a boy from her school — and they’re saying he killed himself. Plagued with dreams since the transplant, she realizes she may hold the clues to what really happened. This Heart of Mine is available for pre-order now at Amazon, Barnes & Noble, Books-A-Million, Powell’s, Indiebound and iBooks. So, don’t miss out, order your copy today. I never really understood the meaning of the phrase “book of your heart” until I wrote Leah McKenzie’s story. When I typed “The End” to every novel, I used to feel it was my favorite. But This Heart of Mine is different. It’s not only the book of my heart, it’s the book from my heart. As the wife of someone on the transplant list, I held my husband’s hand as he accepted that his time, our time, would be too short. He needed a kidney, but the dialysis that was saving his life, was killing his heart. And breaking mine. Then like Leah, he got a second chance. His journey, his pain, my pain, his fear, my fear, and our enormous appreciation to the donor and his family for the gift of life, poured out of my soul and into my keyboard. This didn’t make writing it any less scary. In some ways, it made it that much more. In that moment, I knew Leah’s story needed to be told and I had to be the one to tell it. This book blends emotion with romance. It’s seasoned with my humor, my love for a little mystery, and sprinkled with a pinch of the mystical. I hope you’ll join me on this new adventure and take the journey with Leah as she creates her own recipe for living and makes friends with every challenge she meets. Here’s to always living with a little bit of fear in your belly. Everyone has been asking me how they can get a copy of Fighting Back, Kylie and Lucas’ final chapter. It was offered exclusively to those who pre-ordered Midnight Hour back in October. But now everyone can get it. That’s right, Fighting Back is being released on August 29th, 2017. You’ve been asking for more about the couple that started it all, and are you gonna love it! Kylie Galen has never questioned her love to Lucas Parker. Discover how far Kylie will go to save the man, her relationship, and the life of the werewolf she loves. 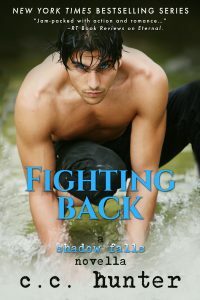 So, be sure to order your copy of Fighting Back, and read more about Kylie and Lucas as they face their biggest challenge yet. 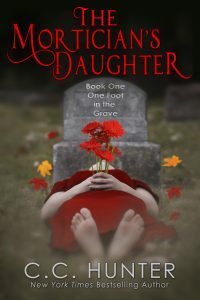 I’ve also got another book, The Mortician’s Daughter: One Foot in the Grave coming out in October. It’s the first book in a trilogy, and I’m really excited for you to read it. Seventeen-year-old Riley Smith’s dad’s an alcoholic. Her mom passed away when she was young. She’s sees dead people. Can her life get any crazier?. Yes, it can. When Riley’s attempt to help a spirit cross over leads her to discover the young woman’s death wasn’t an accident, she finds herself face to face with the killer. Adding mayhem to her life is another spirit, a boy her age, whose smile makes her melt. Her job is to get him to pass over, but her heart doesn’t want to let him go. But it doesn’t end there. I’ve got my first hard cover coming out in February 2018. This Heart of Mine is a very special book to me, and I can’t wait to share it with you. So, be sure to read my blog next week for all the details. Isn’t reading the best past time? You can literally do it almost anywhere. And with today’s electronics, you can read a book on your phone, your e-reader or computer. Or you can carry a book with you. I have learned to read anywhere—and have: in car pool lines, at sports practice, on planes, even in hospitals. But when I really want to treat myself. I retreat to a nice, quiet corner with a great book. When we moved into our current house, my hubby built some great book shelves in my study. While I’m sitting at my desk writing, I can look at all my favorite books and knick-knacks. It’s like visiting with old friends. Sometimes I sit in there and read, but if the weather is cooler, I have a beautiful wicker porch swing that’s very inviting. 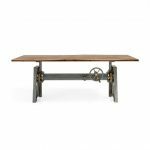 Oh, I also found the perfect desk at Arhaus, and I’m seriously considering getting because it is adjustable. Being short, an adjustable desk could make all the difference. 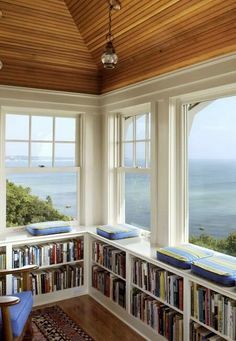 But I would like to create my ideal book nook one day. A place to get away from it all where I can read undisturbed. It would have to have a comfy chair or sofa with soft down throw pillows. 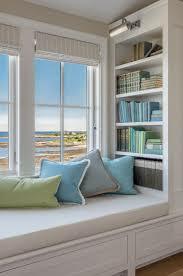 And anyone that knows me, knows it would be best if my nook had a window that looks out on the ocean. I may have to visit Arhaus Living Room page for more furniture. 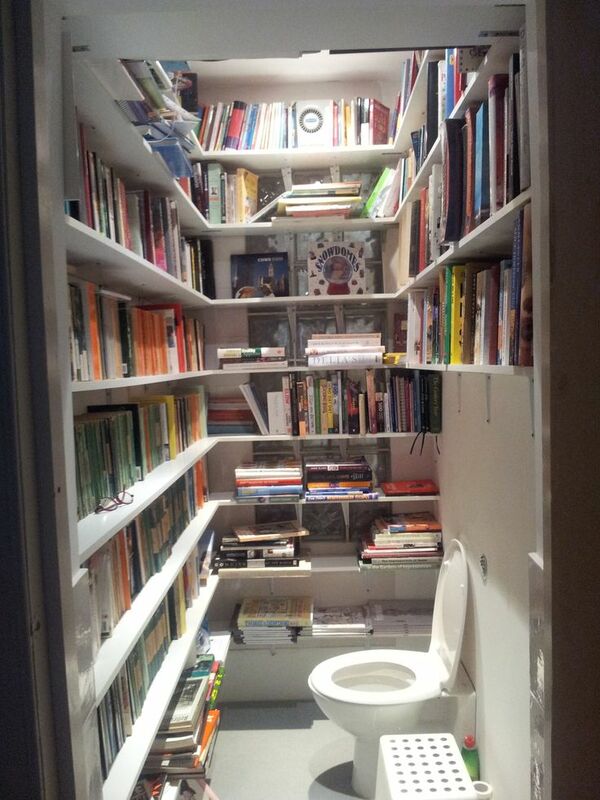 So, I looked around online for a few pictures of book nooks I would like. Now, maybe I’d take something from each and merge them together, but I think you’ll get the idea. 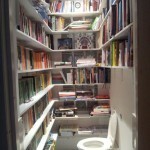 While poking around on the Internet, I came across this photo of a bathroom/book nook. While I know what they were going for, I just have to ask does anyone ever get into use the bathroom? If I my hubby went in there, he may never come out! 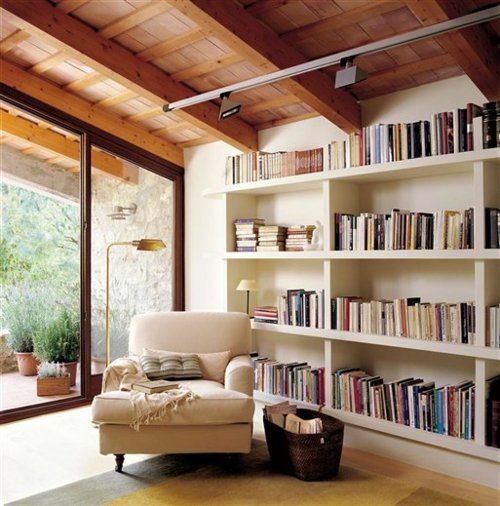 What would your prefect book nook look like? Would you have wall to wall shelves? A large window? A window seat of a big comfy chair? Guess who got a face lift? C.C. Hunter! Well, not me exactly, but my website did. I’m so excited about the updated look, the clean lines and the new vibe. Be sure to explore my home page and sign up for my newsletter if you haven’t already: http://www.cchunterbooks.com/news.html. And make sure you check back here every week because I’ve got brand new videos, giveaways, and news about upcoming releases. Happy 4th of July! 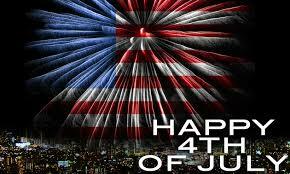 I hope you’ll be spending the day with family, maybe enjoying a fireworks display this evening. Hamburgers, hot dogs and fireworks are all very nice, but let’s not forget what we are celebrating. It was 241 years ago today that the United States was born by the Continental Congress adopted the Declaration of Independence, declaring the Thirteen Colonies were a new nation and no longer a part of the British Empire. And didn’t that set off a firestorm! War was declared, and the United States fought long and hard for its independence. So on this important day in our nation’s history, I hope you enjoy your time with family and friends. What type of genre is your favorite? Paranormal? Contemporary? Mystery? Anything else? How old are you and do you only read young adult books? Are you willing to leave reviews? Post about the book on social media? Go the extra mile to help get a buzz going about the book?